Category/Genre - Fighting game with Action-Point spending and variable player powers. Gamers? Yes! Especially those who like 1v1 games. Nongamers? No! I wouldn't call this a gateway game or a nongamer game. Preview copies provided to Theology of Games. Galactic Arena is a fighting game with numerous modes. You can play 1v1, 2v2, or 3v3. I (Firestone) played 2v2 and 1v1, and I think the 2-player game is really the only way I'd want to play it. Multiplayer works okay, but it feels like they just tried really hard to make a 2-player game accommodate mulitplayer play. I get that it's easier to sell a game for more players; I just prefer 2. There's a LOT to customize in this game. First, you can choose your Hero. You can choose to do that randomly, of course, or have people pick. Then each Hero has loads of choices to make regarding weapons and special powers. Each player gets a certain number of points to spend on these. The powers are divided into columns that cost 1, 2, or 3 points. The 3-pointers are powerful, and often you can only use it once per game. One of the great things about this is that no two people's Heroes will look alike. Each player gets to place down traps and obstacles. I'm not sure what a good strategy for obstacle placement is. In our first game we boxed each other in, so there was very little movement and a whole lotta fighting. I think it would be cool if there was a mechanism where traps and obstacles would open up unexpectedly--not under a Hero, but maybe near one. That seems thematic. You spend your turn moving and attacking your opponent. You can use special powers, but then that power is unavailable until the end of the round when (almost) everything resets. So you're constantly trying to figure out the best time to use a power, knowing it'll be a while before you can use it again. And depending on the power, it takes a varying number of your action points. You only have so many, so if you blow them before your opponent, he can swing away without fear of immediate counterattack. I do have a few complaints. First, after all of the choices and decisions and strategic use of power, battles still pretty much come down to dice rolls. There are a few abilities that can increase a die roll, but if you roll worse than your opponent, you're probably going to lose. Another complaint is that the game seems to move too quickly. There are combos that will let someone take an opponent down by 2/3 of his total HP in one hit. I don't want to spend more time picking out my Hero's abilities than playing the game. Finally, you're constantly flipping over little markers to show if you've used an ability. It's kinda fiddly, though I don't know what else could be done to track that. Also, the markers cover up the wording on the powers, so I was constantly moving the markers to read the words underneath. Firestone--2-player fighting games generally aren't my favorite, but I enjoyed Galactic Arena more than I thought I would. The variability of the Heroes and their powers means every game will feel different. I had fun playing Galactic Arena, and give it a thumbs up for people who like 2-player battle games with variable powers. Jeremiah--I'm in that same boat: This definitely isn't a genre I run toward, but I found Galactic Arena really enjoyable, and a little lighter than I anticipated. Typically battle/warfare type games are really bogged down with lots of tweaky rules, but this really moves along well and has tons of replayability! 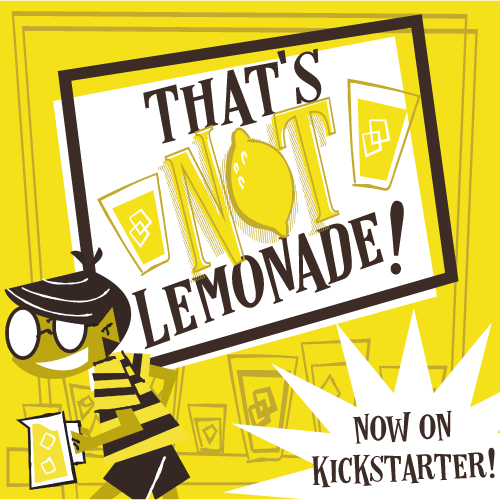 You can check out the Kickstarter campaign for another 2 days. Then you'll have to wait for the retail release. Thanks for reading!